Hello. I’ve never heard of aeon timeline! What is it? How do you use it alongside scrivener? How does it benefit your writing? It goes on to describe benefits to project managers and lawyers. To an extent, a writer (particularly a self-published writer) is also a project manager, and certainly lawyers can be writers, too! But I’ll focus on my use with Scrivener to write fiction. 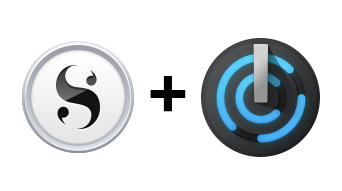 How do you use it alongside Scrivener? Create your new project in Scrivener, save and close it. Go back to Aeon Timeline, and select “Scrivener project” from its Sync menu. In the Sync pane that appears, under Warnings, right-click the events you want to have in Scrivener and add to Scrivener. Creat a new timeline in Aeon Timeline. Select “Scrivener project” from its Sync menu. How does it benefit your writing? How long would it take someone to cross a portion of London on foot in 1880? What time would servants be returning from their Sunday half-holiday? It’s not for everyone—-I understand that. 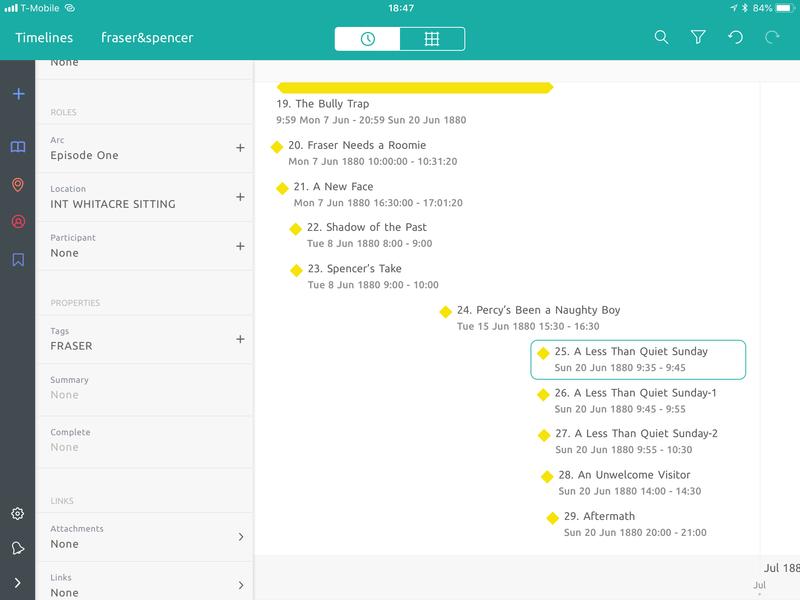 But if you think visually and want the duration of things clearly displayed, it’s a godsend. One other thing I do is import the timeline into Scrivener’s research folder as an alias. That way I can view the timeline’s QuickLook in Scrivener, and click on the Edit button to launch it in Aeon Timeline. What an interesting approach. I can see tge appeal of having a visual timeline.